Save...Save...Save... This is a $75.00 savings over the individual bottle price. 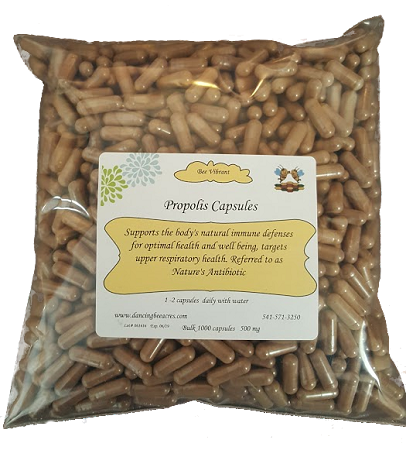 Propolis capsules 500mg. No fillers or synthetics. Stimulates the immune system and acts as an anti-fungal, anti-viral, and all natural antibiotic. These goods are bought for my friend. During these several years, my friend is trying this and is doing purchase request. The effect, I think because I actually feel.